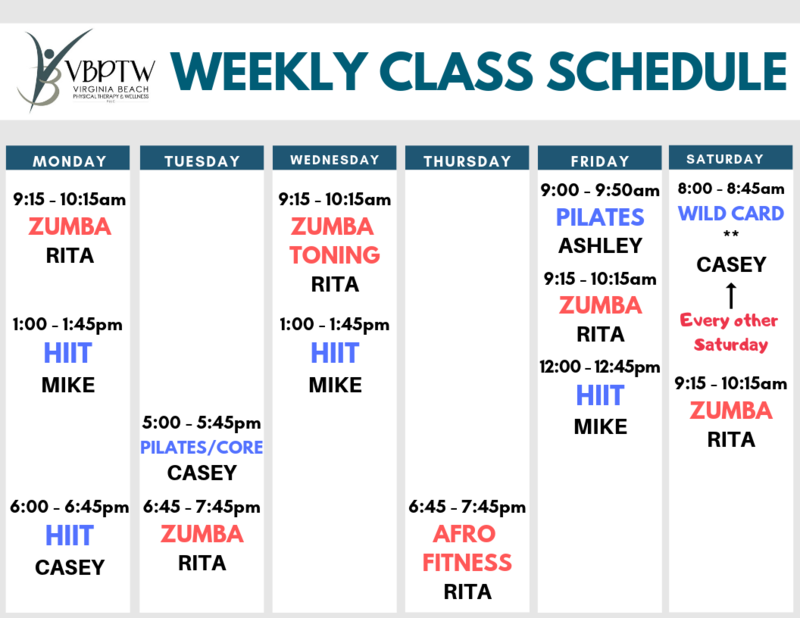 VBPTW is excited to offer a variety of classes to all different fitness levels. Classes available for purchase in 5-packs, 8-packs, 10-packs and unlimited monthly memberships. You are welcome to drop-in to any class for $15/class. Click here for rates. Below you will find the class schedule as of April 1, 2019.